Guests Victoria Averett, Misty Tompoles, Marya Woldridge, Lindsey Ferguson and Ahnyah Krummenacker prepare for the parade of hats. John and Lois Tennant enjoy the many amenities of the VIP Cabana at the Oregon Polo Classic with their guests. Jeanette Heinz and Kiki Hillman arrive in style. DJ Wilson, President/General Manager at KGW Television, takes in a polo match. lla Pavlov, a finalist in the parade of hats, awaits the judges’ final decision. 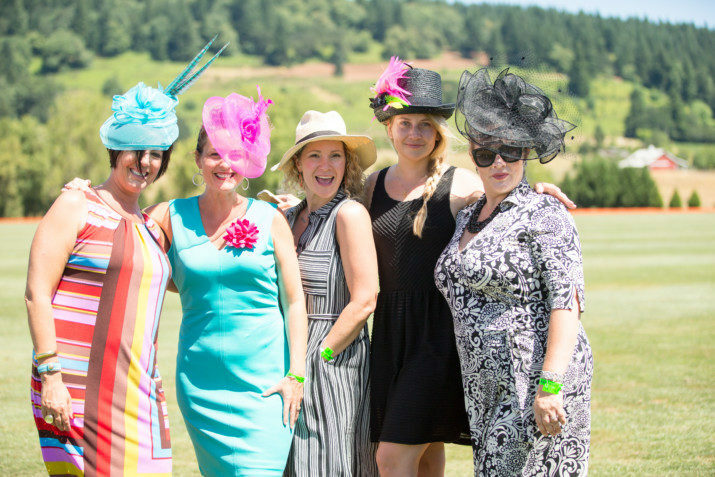 The Classic Wines Auction supports the good work of Oregon and Southwest Washington organizations by providing funds to pre-selected nonprofit partners benefiting children and families. This year, we are honored to partner with Metropolitan Family Service (MFS), New Avenues for Youth, Friends of the Children – Portland, YWCA Clark County and Unity Center for Behavioral Health. Proceeds from the 2016/2017 Classic Wines Auction series of events will benefit these five organizations. Interested in becoming a Classic Wines Auction nonprofit partner? Learn more here.